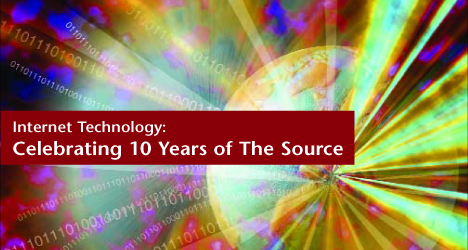 Ten years ago, the Web was in its infancy. It was the realm of the computer geek. E-mail had not yet relegated mail to "snail-dom." The Daily Transcript's Web site, www.sddt.com, went live in September 1994 and our mission then is the same as it is today -- to provide our readers with comprehensive news and information as it relates to San Diego's top industry sectors. Next month marks the 20th anniversary of Cisco Systems, the worldwide leader in networking for the Internet. The invention of the router, whether credited to Cisco or Stanford University, is a milestone that benefits any organization. * Have written policy and procedures in place on how a restore from backup should be handled. In a time of crisis, this will cut down on confusion and allow the process to move along more smoothly. Over the last decade, many businesses, long established and newly formed alike, have made the World Wide Web a key revenue-generating channel. Billions of dollars are transacted each year over the Web. For many, going online to make a purchase or to find information that will lead to a purchase is now second nature. It may seem simple yet it is often times overlooked. When it comes to choosing the right Internet hosting provider, the majority of business owners or companies know little about making the best Internet/Web hosting decisions. The vibrant and diverse San Diego County economy, distinguished by an abundance of high-tech, telecom and biomedical companies, is projected to continue its impressive growth through 2012 and there is little doubt that information technology -- and those who work in the field -- will play a critical role.